Prayer Ropes - Ultra Thin -- NEW! Crafts for Kids -- NEW! For a simple yet inspiring Sunday School or Vacation Bible School DIY craft project, try decorating these faith-filled wood crosses. Kids will love hanging their creations on a wall at church or home. Each with an attached metal hanger; hangers may require reinforcement. Approximately 6" tall x 4" wide. Age Recommendation: 5 & up. Kids love art, especially painting! 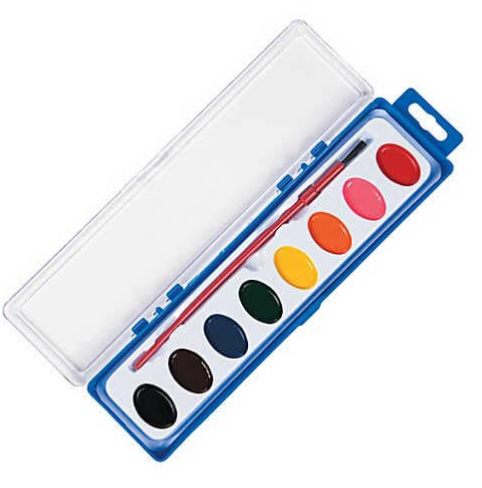 Each plastic tray includes 8 different watercolor hues and one paint brush so kids can paint and create whatever they can imagine. All paints are washable and non-toxic. Conforms to ASTM D-4236. Approximately 8 1/4" long x 2 1/4" wide. Age Recommedation: 3 & up. Individually hand-crafted laser engraved icons on soft maple wood. Each image is edited to enhance the detail, then sized to the plaque. After the engraving is done, the artist starts the finishing with laser fill to bring out the detail. After the fill drys, each icon is lightly sanded just enough to clean up the plaque and to show the details. As the last step, a clear coat is applied to give the icon a finished look. 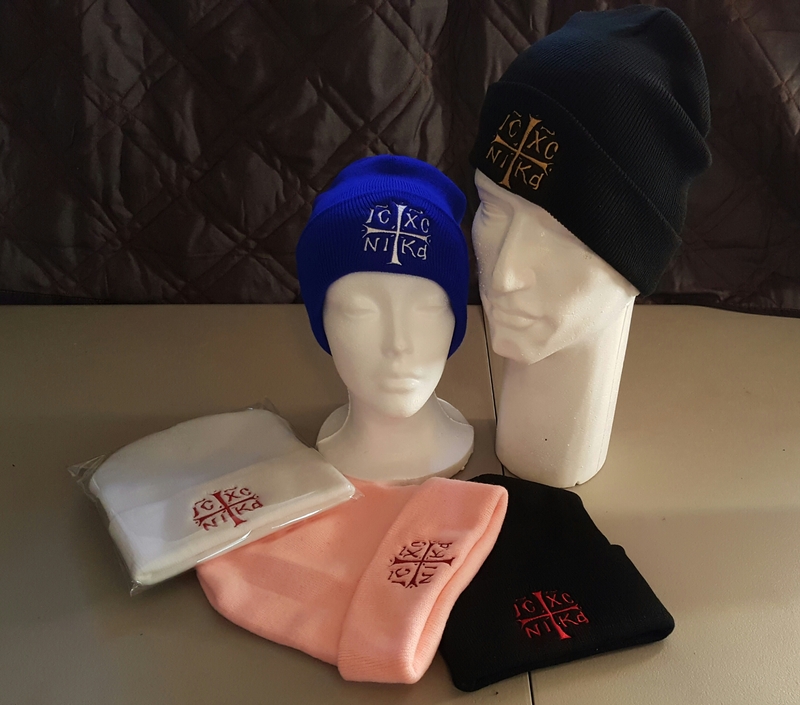 Limited quantities on hand. Shop early for best selection! $11 each approx. 3.5" x 5"
$14 each approx. 4" x 6"
$33 each approx. 6" x 8"
$43 each approx. 7" x 9"
$54 each approx. 8" x 10"
Plaques may be customized. Additional charges may apply. Please allow 4-6 weeks for delivery. These natural stones are sized to be conveniently carried at all times in your pocket or purse. You can even keep them on your desk at work or on your night stand at home. 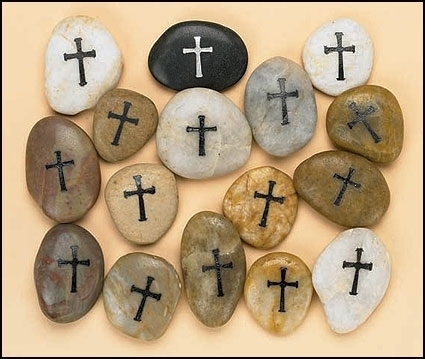 Each stone comes etched with a beautiful cross design. Colors may vary. Size: 2-1⁄4 " - 3"
Christ Enthroned in His Creation, 8"x10"
Printed using archival inks and paper, these fine art prints are made from professional photographs of murals painted by the hand of Christina DeMichele, a local professional artist, iconographer, and muralist. For more information about this artist, please visit her website at www.christinademichele.com. Note: Color variations in the website photographs are due to lighting conditions and are not necessarily representative of the lovely color consistency in the professionally photographed prints for sale. Cantiamo Sonoma, Sonoma County’s leading a cappella choral ensemble, is pleased to announce the release of its latest CD, "Enriched With Good Hopes." Two selections are presented below. Each prayer rope is prayerfully and lovingly knotted by the sisterhood. Custom orders are welcome. The sisters use Mt. Athos wool and cord imported from Greece and Russia; some yarns are from domestic sources. Beads and accents are fine quality. 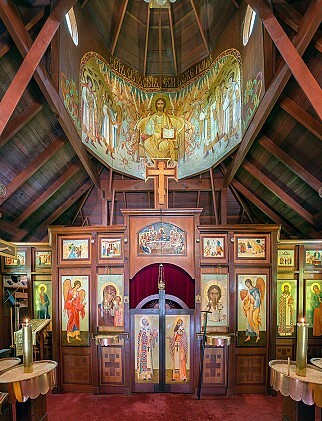 The sisters are pleased to offer lovely images of the monastery and our St. Nicholas Icon, thanks to the generosity of Olof Carmel, a local fine art photographer. Each print is an authentic, fine art giclée print (archival inks and paper), available in either 5"x7" for $10 or 11"x14" for $30, backed on fine foam core and ready for framing. Also available by special order are wrapped-canvas prints, starting at 26" for $200. Proceeds of all prints benefit Holy Assumption Monastery. Various sizes of diptychs and triptychs are available. 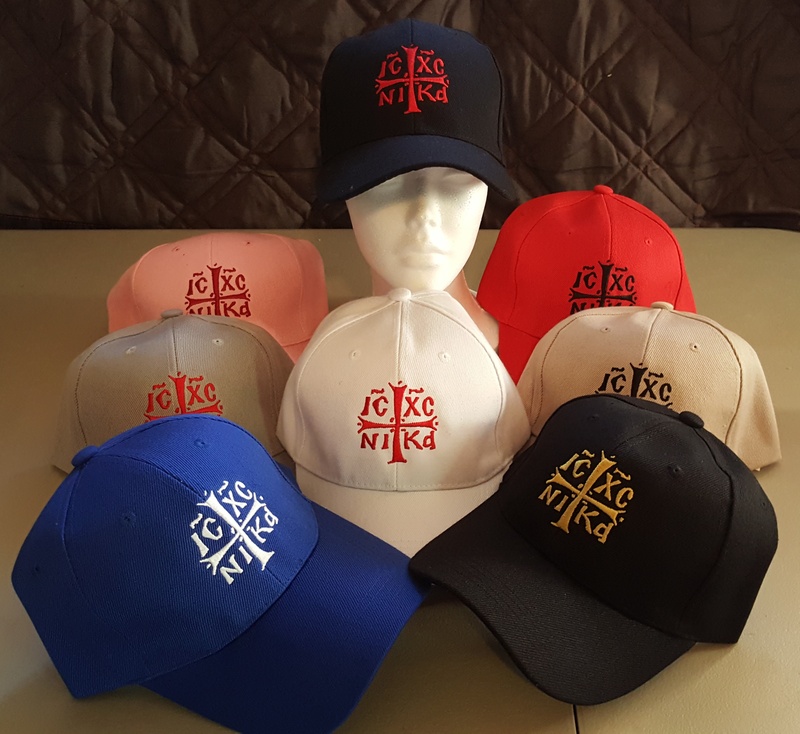 Limited quantities on hand. Shop early for best selection! Various sizes of singles, diptychs, and triptychs are available. 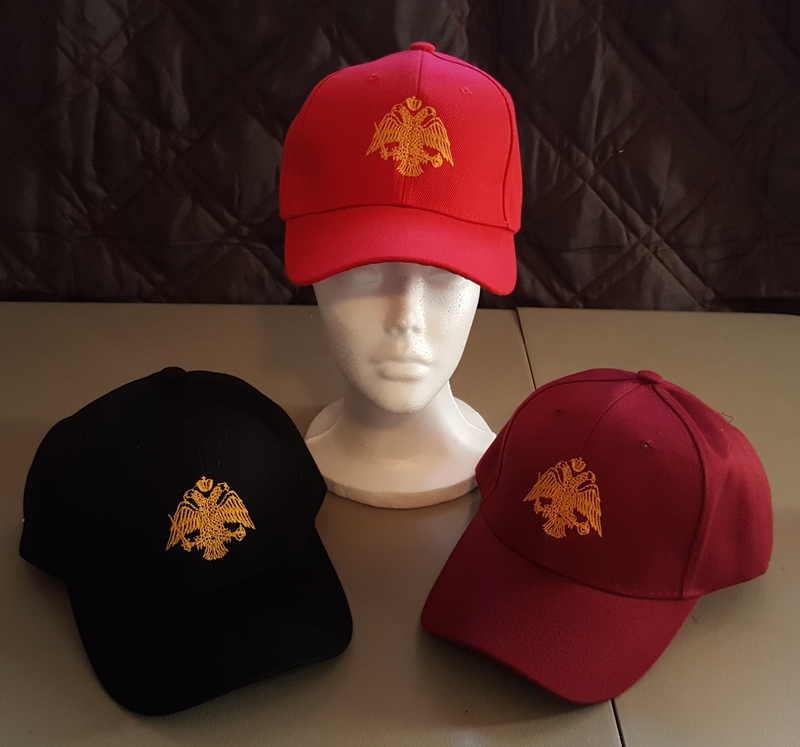 Limited quantities on hand. Shop early for best selection! Gold foil borders and icon egg wood stand vary in shape and size. For the readers among your family and friends (or you!). 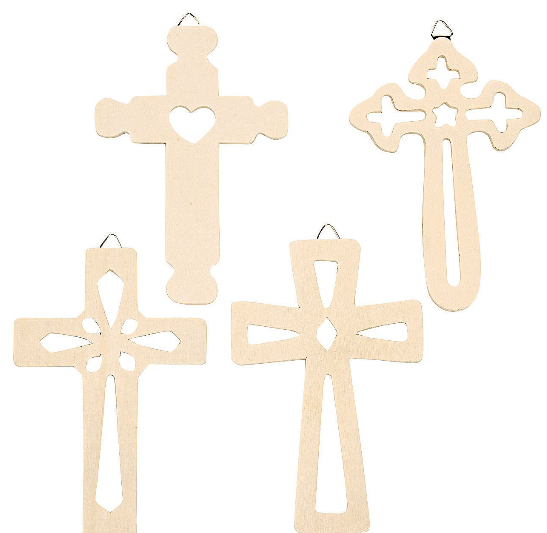 The RIBBON-WITH-CROSS BOOKMARKS feature a simple, wooden cross. The sisters hand assemble these bookmarks, which are made from quality materials. The 100% polyester ribbons are available in assorted colors. Warning: CHOKING HAZARD: Small Parts. Not for children under 3 yrs. The LAMINATED BOOKMARKS feature our monastery’s logo and Troparion. Laminated for sturdiness, this bookmark was designed, printed, and laminated by the sisterhood. Approximate dimensions: 2-3/4” wide by 8” long.